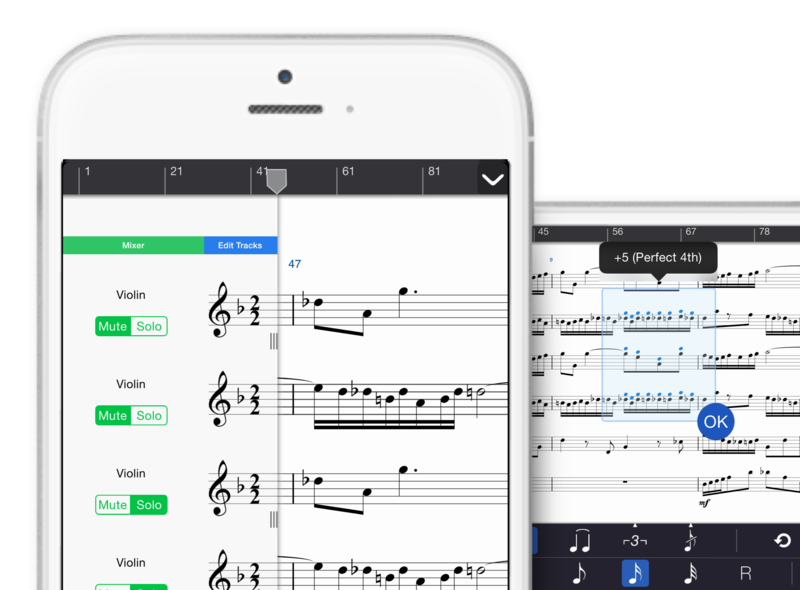 Symphony Pro for iPad now fits inside your pocket. Play the video below for an overview of the features. When you're away from your desk, arranging isn't the biggest priority. That's why Symphony puts the actual music creation front-and-center, with a simplified, streamlined UI, so that you can create sketches during the brief moments of inspiration that you can't lose. With a compact, gesture-sensitive interface, you can zoom-in-or-out freely, solo or mute tracks, adjust staff positions, or divide a project into sections, each using only a single gesture. 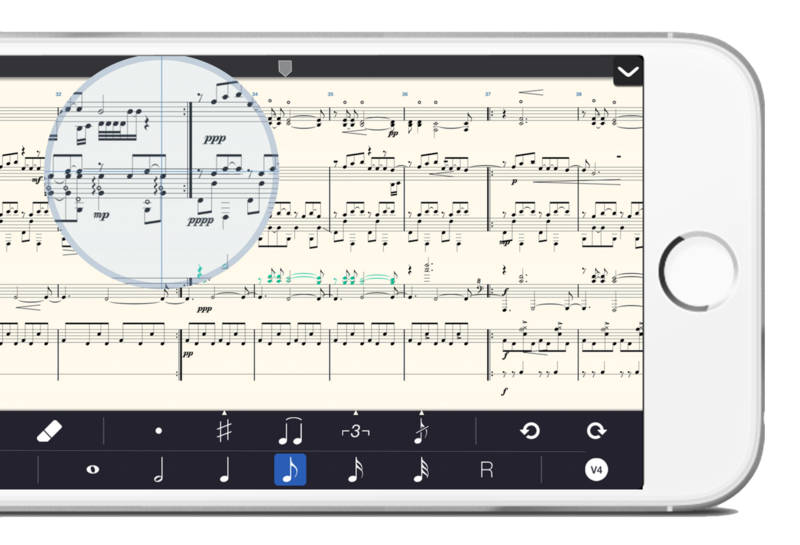 In addition, the toolbars and the staff resize automatically to make it as easy and fast as possible to sketch out your musical ideas. Instantly replay your song at any point in the composition. Set loop points, mixer levels, any number of hidden or visible tracks, and a wide variety of dynamics and articulations. When you're done, export your project to AAC or to another app via MIDI, MusicXML, or audio. Subscribe to news and updates from us to take advantage of promotional offers and new video guides.